Piècea001686 - B.C. 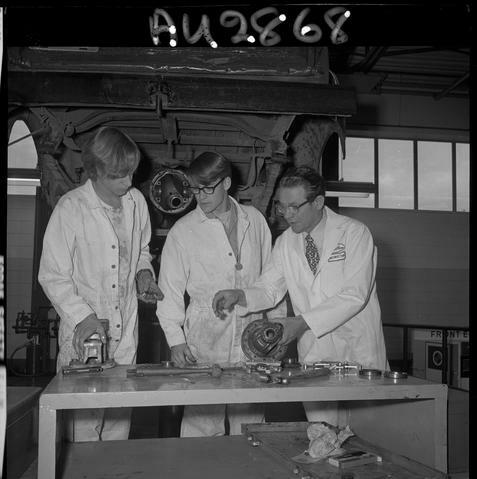 Vocational School image of an Instructor and Auto Mechanics program student working on automobile parts in the shop. Piècea001687 - B.C. Vocational School image of an Instructor and Auto Mechanics program students working on automobile parts in the shop. Piècea001688 - B.C. Vocational School image of an Instructor and Auto Mechanics program students working on automobile parts in the shop. Piècea001689 - B.C. Vocational School image of an Instructor and Auto Mechanics program students working on automobile parts in the shop. Piècea001690 - B.C. Vocational School image of an Instructor and Auto Mechanics program students working on automobile parts in the shop. Piècea001691 - B.C. Vocational School image of an Instructor and Auto Mechanics program students working on automobile parts in the shop. Piècea001692 - B.C. Vocational School image of an Instructor and Auto Mechanics program students working on automobile parts in the shop. Piècea001693 - B.C. Vocational School image of an Instructor and Auto Mechanics program students working on automobile parts in the shop. Pièce a001689 - B.C. Vocational School image of an Instructor and Auto Mechanics program students working on automobile parts in the shop. Anglais » B.C. Vocational School image of an Instructor and Auto Mechanics program students working on automobile parts in the shop.